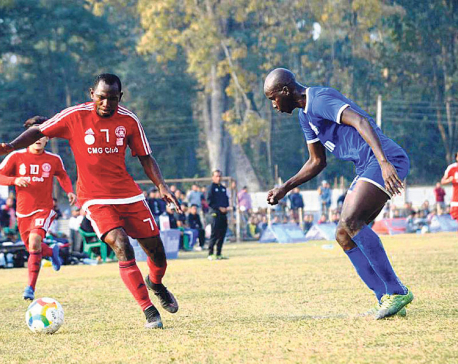 BARA, Jan 21: The departmental team Tribhuvan Army Club has advanced into the semifinals of the ongoing 10th Simara Gold Cup football tournament with a 4-2 win over its departmental counterpart Armed Police Force (APF) Club in Simara on Saturday. At the Simara Stadium, a brace from Tanka Basnet and a strike each from Deepak Gurung and Sudil Rai helped Army beat APF, who scored two goals through Rajan Gurung and Aashish Lama. 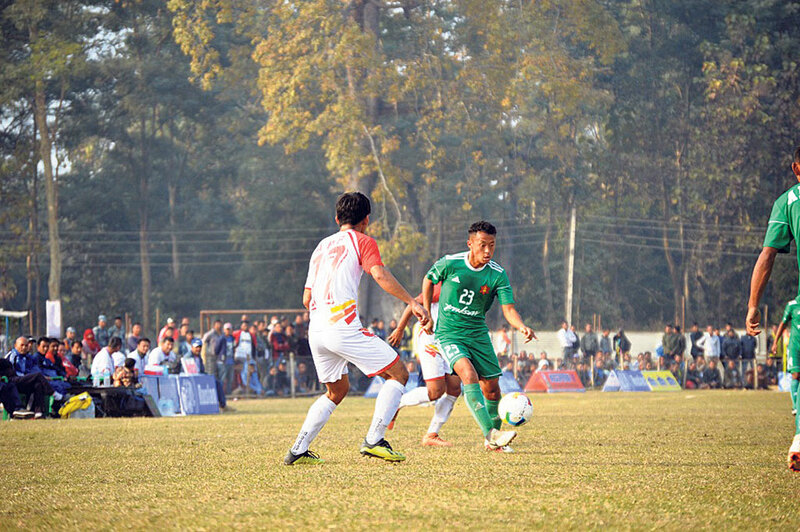 APF returns home from the quarterfinals as it could not keep its lead for two times. Rajan gave APF the first lead of the game in the 33rd minute, while Army equalized in the 43rd minute as Basnet scored for the winning team. 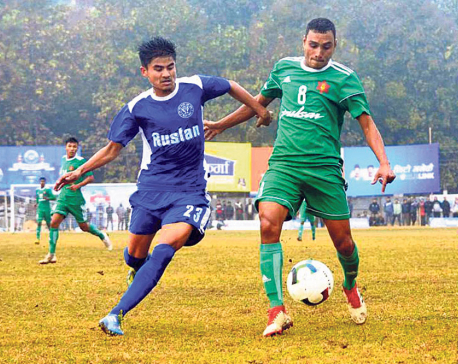 APF took the lead in the start of the second half again as Lama scored, but a goal in the 73rd minute by Army’s Deepak leveled the game to 2-2. Army then took the lead as Rai scored for Army to make the score 3-2 in the 86th minute, while Basnet send the game beyond all doubt to complete his brace in the injury time. said he was happy with the win. Army, who had lifted the Bishal Memorial Gold Cup less than 24 hours ago, has been successful again to enter the semis of another tournament. Army will now take on the host Nawa Jan Jagriti Yuwa Club for a place in the final.